Running a PR in my first ever USA Championships final (3000m Steeplechase, 8:38). Prior to qualifying for and competing in this final, I had never made a national championship final, so this was my first experience going through the rounds. I never even made NCAAs while in college, so it was especially sweet to have stuck with it for this long and finally see some of the work come to fruition. I finished my collegiate career at UT, so I already had a connection with Steve. When I met with him, he was everything I was looking for in a coach- enthusiastic, charismatic, and really feisty. He seemed like the guy to take me to the next level. My least favorite band would have to be the Insane Clown Posse. I don’t even think I’ve heard their music, but their style scares me, and their whole thing just seems to be overly gimmicky. And dumb. My friend Max Miller’s grandmother makes this delicious French toast out of challah bread, and whenever I’m home in Houston, I make sure I go get some after a run. Anything long and aerobically based. Mile repeats, long tempos… We had this workout at UT where we started out with a tempo on the track, jogged over to a steep hill and crushed some hard hill repeats, then jogged back to the track for another tempo. That’s an awesome workout. I mean, obviously heads right? 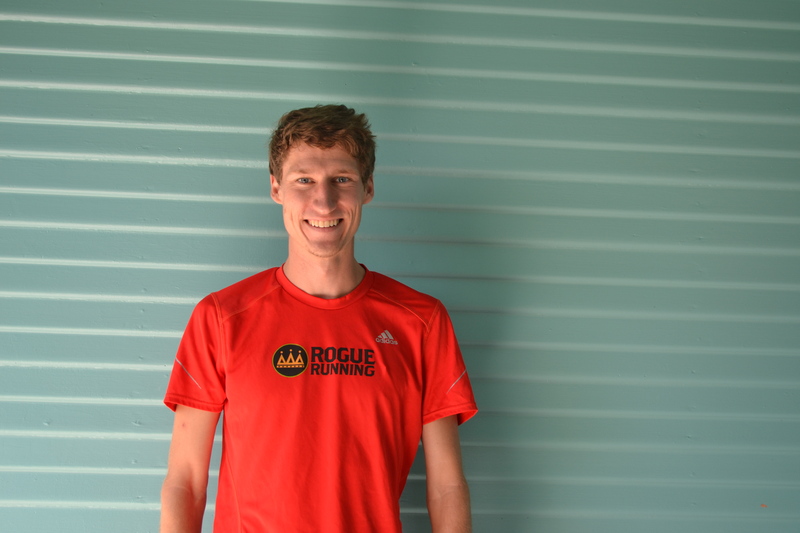 My middle brother Andy is the most influential and inspirational person in my running. I distinctly remember coming home for the summer after Big 12 Outdoor Championships my sophomore year at Kansas. I kept trying to get my family to watch the championships with me on TV, because some regional fox sports channel was doing a replay of it. Andy eventually told me, in no uncertain terms, that he didn’t like distance running (at all) because it was really boring and was not cool. Then, a couple years later, he watched me run away from the field in a low-key 1500 at Texas State. Ever since then, he’s probably been my biggest supporter. He texts me almost daily asking about my training, he’s probably on letsrun even more than I am, and he’s always there to offer encouragement, and occasionally some unsolicited training advice. My dream job after running would be the head track and field/xc coach at the University of Kansas. Favorite movie: No idea. I love It’s a Wonderful Life. I like The Town. I finally saw the first Rocky movie a couple weeks ago, and it was way better than I expected. I’m kind of all over the place.